Measuring the results of your citizenship efforts (environmental and social) can be a challenge. You want to know: What difference does it make? In addition to the indicators you build in to measure your own programs, the research from the Carroll School of Management Center for Corporate Citizenship at Boston College can help answer that question. 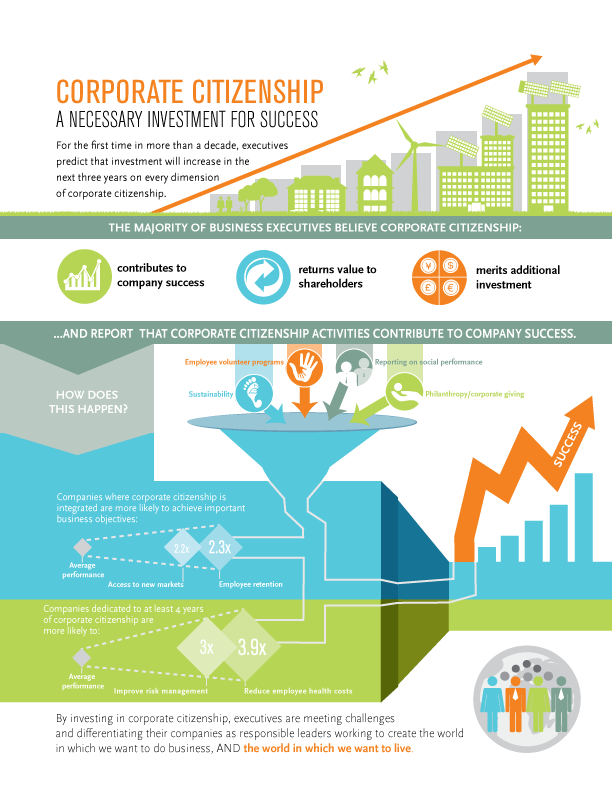 For the first time in more than a decade, in the 2014 State of Corporate Citizenship report, a majority of executives (across all industries) confirm that corporate citizenship helps their business succeed. Here are three key findings from the research. Corporate Citizenship delivers real business results. According to the study, executives believe corporate citizenship not only helps their companies achieve strategic goals like increasing market share, it also improves financial performance and returns value to their shareholders. Achievements they gave are impressive: Companies that integrate their citizenship efforts into business initiatives are 2.2x more likely to gain access to new markets and 2.3x more likely to be successful with employee retention than companies that don’t. 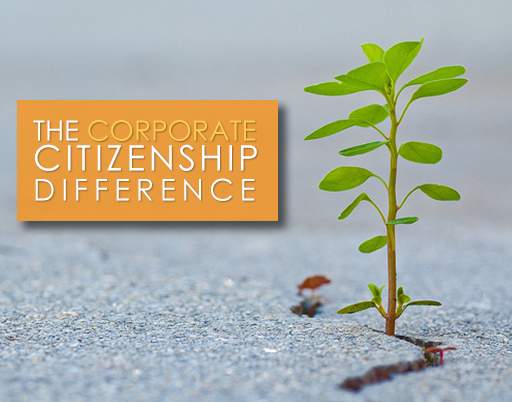 increase corporate citizenship resources. Executives see the value of corporate citizenship and are putting their money behind it—investing in environmental, philanthropic and social programs that deliver. As the economy has recovered, they have found their citizenship efforts strengthened in many ways, including helping them compete globally and address the pressure for long-term financial returns. The long term approach to corporate citizenship pays off. Ninety three percent of the executives in the survey report that citizenship efforts supported for four years or more achieve the biggest gains: They are 3.9x more likely to report success in reducing employee health care costs and 3.6x more likely to report success with reducing waste as a result of long-term citizenship efforts. The bottom line: Being a responsible leader and good corporate citizen makes a tangible difference – not just in your community and with your employees, but also in the financial success of your business. If you’d like to start or build on your company’s citizenship efforts with philanthropy, we can help. Contact us today. To download the Executive Report and read more about this study visit the Carroll School of Management Center for Corporate Citizenship at Boston College website.